I spent most of Saturday playing with my meat. 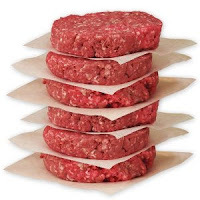 OK, I don’t know what you perverts are thinking right now, but if you can think of a better way to describe the act of dividing and packaging 100 pounds of ground beef, please let me know. I’m getting ahead of myself anyway so let me backtrack. My wife is a member of one of these frugal moms or thrifty shoppers websites that emails you an alert every time there’s a sale on lima beans in 50-gallon drums at your local FoodMart or when Kellogg’s is having a buy 3 get 17 free promotion at Rite Aid. About six months ago she got a notice that an outfit called Zaycon Foods was having a Chicken Breast Event. What they were doing is selling 40 pound boxes of Boneless, skinless Chicken Breast for $1.49 a pound. 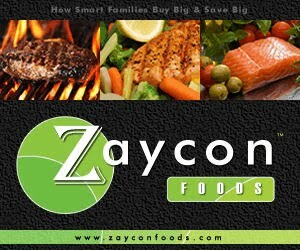 I immediately went online to find out all I could about Zaycon foods and other than they are based out of Washington State I could find nothing. The BBB had not heard of them, there were no reviews, nothing. Being kind of rash I went ahead and pre-ordered 2 cases anyway. The drop-off date was at a local church on a Saturday about 3 weeks later. Halfway expecting to find a parking lot full of pissed off people hungry for chicken but no refrigerated truck, I headed down to the church. I was greatly relieved to find not only the refrigerated truck but some of the most helpful and friendly people I’ve ever worked with. The Zaycon people were awesome. I showed them my receipt, they loaded our trunk up with the boxes and off we went. I spent a few hours splitting the breasts and freezing them in Ziplock freezer bags and then putting them in our freezer. The chicken breast are fantastic. I’ve never seen such ginormous chicken breasts. These are the Pamela Anderson variety of chicken for sure. And they cook up so nice and delicious. Juicy, fresh, just plain fantastic. 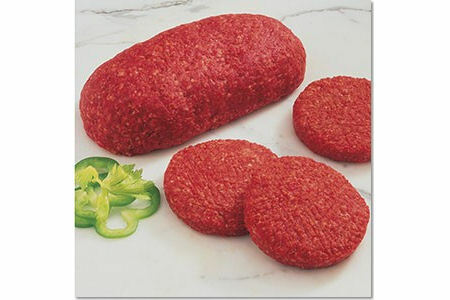 A few months down the road we get another alert from Zaycon Foods saying they are now having a ground beef event. 93.7% lean ground beef sold in 20 pound cases for only $2.49 per pound. So impressed with the chicken we went ahead and preordered 100 pounds of the beef. We had the same A+ service at pickup, and brought the beef home. We browned up 2 pounds of it for tacos. There was hardly any grease at all in the pan when we were done. It also tasted really good. The best ground beef I’ve ever had. The only thing I don’t like about shopping with Zaycon Foods is they seem to only have these events, and there is no forewarning of what they are going to sell when. I give Zaycon Foods 4 stars (would have been 5 but they’re just a little too secretive for that). In preparation for the beef showing up on I knew I wanted to freeze a portion of it in pre-pressed hamburger patties. I searched high and low on the internet for a good but inexpensive meat patty press. I finally ended up buying the Weston Single Patty Press from Amazon. It retailed for $24.99 but was on sale for $20.27. 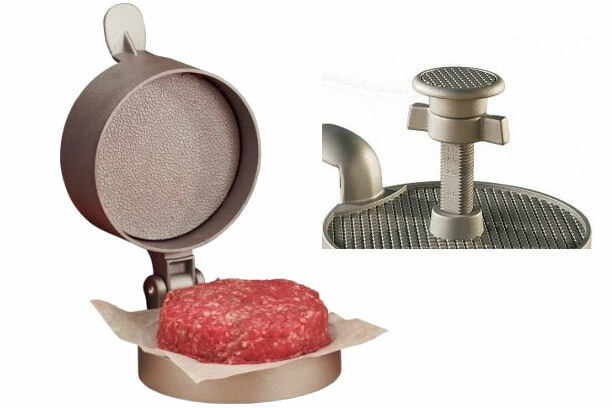 This extremely clever thing has a screw on top that allows you to adjust your patty size to whatever weight of patty you want from ¼ lb to 1lb. It looked good enough to me and you couldn’t beat the price. I was shocked to see there were some selling for $60 to $100. Once we got to pressing I found out why. This has this little teeny handle on it which provided no leverage. Yes, it’s a press that doesn’t allow you to exert pressure. Knowing I was going to press 80 patties I knew I had to do something to remedy this. I ended up using a 1 ¼” wrench as a lever for it, which lead to the other problem. Using the lever I came up with made the whole thing tip over. It did have two screw holes that would allow you to mount it to your work table and I’m sure that would fix it, but my wife would not let me mount it to our kitchen table. Can you believe that noise? It’s not like the table is new. It isn’t even mahogany or anything like that. It’s some 50 year old number we got from her deceased grandpa and I’m thinking something that is made out of solid oak can stand up to 2 little holes drilled into the top of it, but nooooooo, I had to make do without that little benefit. The other problem is the clamshell design. It made the meat push forward and formed unevenly. Sometimes squishing out the front but not fully formed in the back of the patty. I made adjustments to my technique to accommodate for this but it was by no means a simple operation. The adjustment thing on top didn’t work either. I set it for ¼ lb patty but by the time I had made 80 patties I was through about 26 pounds of my meat. That’s .325 pounds per patty which is really annoying to me because I can’t say they’re third pounders or quarter pounders. Whatever. 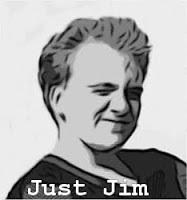 It’s cheap, and I was able to make it work but if you’ve got money to fork over for the more expensive ones, it might be worth it. If not, buy this one. I would. I give it 3 stars. Oh that reminds me. It was suppose to be non-stick but wasn’t. Good thing I’m an Eagle Scout and always prepared. I had already bought Weston Hamburger Patty Paper . 1000-sheet box cost $14.99 at Amazon which seemed like a lot but it ended up being worth it. They were kind of thin and if you messed up pressing a patty, you had to replace the paper because it couldn’t really stand up to the pressure of a 2nd press, but 1000 sheets is almost an unlimited supply unless you own a restaurant. They did the job, were easy to extract from their box, even with chubby, blood-soaked digits like mine, but as I already said they kind of self destructed a little faster than I would have wanted. I give them 4 stars. Which leaves us with the Ziploc Freezer Bags . These come with Ziploc’s patented “Smart Zip” technology. Not sure what’s so special about that. There is a double row of zipper to close it with which made it easier to close. These bags are durable and have kept our chicken extremely fresh. We used Quart sized ones for the Chicken Breast (held 2 of those jumbo-sized ta-tas just fine) and we used Gallon sized ones for the beef (held 8 .325 pound patties stacked 2 high perfectly). These puppies work. 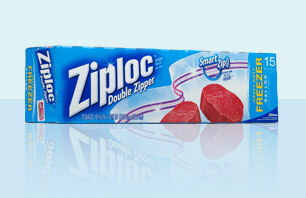 Ziploc is the first and still the best at what it does. When you’ve laid down cash for quality meat don’t screw around. Ziploc Freezer Bags are a certified ReviewSpew All-Star!